Arsenal and Manchester City wrap up their pre-season schedules with a friendly in Sweden on Sunday evening. Are you looking for the best picks on this match? 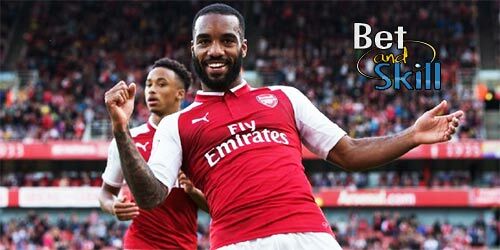 Find below our Arsenal v Man City betting preview with free predictions, betting tips, enhanced odds odds, lineups, bookie promotions and no deposit free bets! Arsenal had a smooth pre-season so far. The Gunners beat the Major League Soccer All-stars and Guadalajara during the tour of the United States and on Friday night they romped to an 8-0 victory against Norway side Viking. Arsenal manager Arsene Wenger has once again found himself fielding questions about squad strengthening following a fairly quiet summer transfer window for the Gunners. Man City have only played two official pre-season friendlies and have suffered a 1-0 defeat at the hands of Bayern Munich before drawing 1-1 with Dortmund. Clearly, the Citizens are yet to find their mojo under new boss Pep Guardiola but they are expected to improve their performance from now on. Leroy Sane could make an appearance though, having recently wrapped up a £37million switch from Schalke 04. Vincent Kompany and Ilkay Gundogan are still injured whilst Brazilian forward Gabriel Jesus will not join up with the squad until January. New signing Nolito and Sergio Aguero are expected to lead the line in a 4-4-2 formation. "Arsenal v Manchester City predictions, betting tips, lineups and free bets (Club Friendly - 7.8.2016)"